Central Railway Recruitment 2019 - Apply Online for Cultural Quota Posts in Central Railway, Across India. Online Applications are invited by Central Railway from 04 Feb 2019 to 18 Feb 2019 for 2 vacancies. Indian Classical Dancer (Katthak)- Possession of Degree / Diploma / Certificate in Kathak dance from Government recognized Institutes. Drama Artist- Possession of Degree / Diploma / Certificate in Drama / TheatreArts from Government recognized Institutes. Eligible candidates may apply online at Central Railway's website (direct link is given below) from 04 Feb 2019 to 18 Feb 2019. 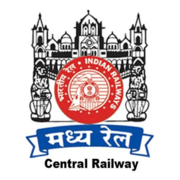 Central Railway Recruitment 2019 - Walk in for Sr. Resident Posts - Dr. BAM Hospital Byculla in Central Railway, Mumbai, Maharashtra on Contract Basis. Candidates are invited by Central Railway to attend walk-in-interview to be held on 22 Apr 2019 for 3 vacancies.